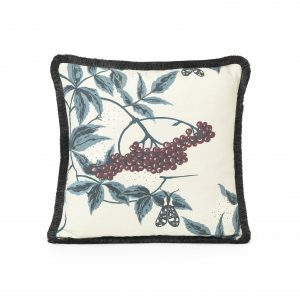 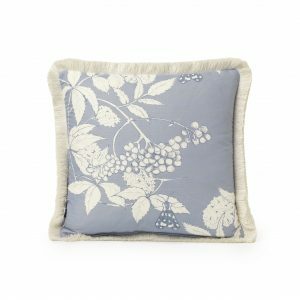 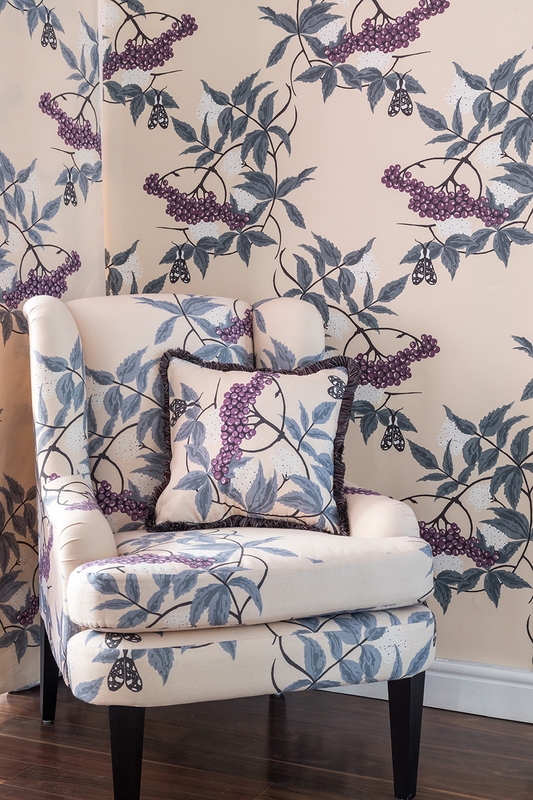 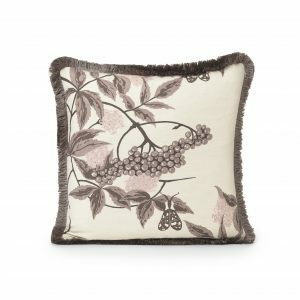 While out horse riding with a friend, Amanda took special notice of the beautiful black berries that adorn the Elderflower bush; the inspiration for the Sambuco design was born as part of the Pratamagno collection. 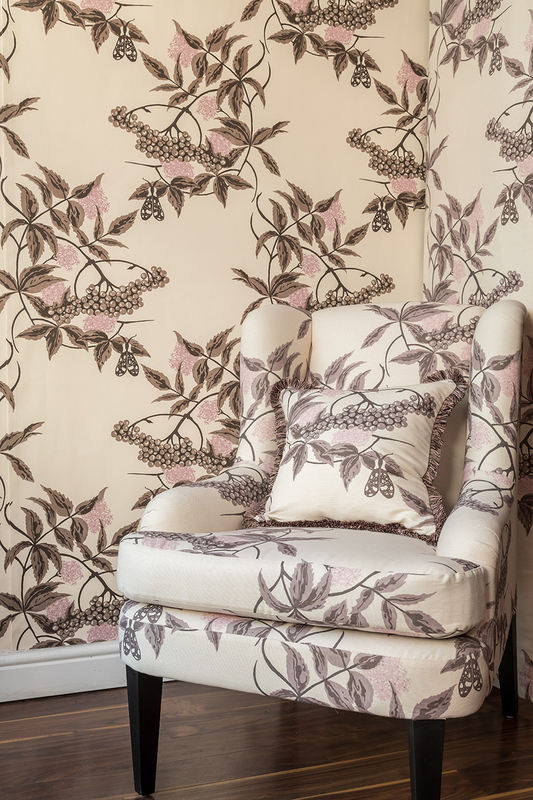 This design is wonderfully reminiscent of old botanical drawings with finely sketched detail, the delicate and intricate design works well in both modern and traditional rooms and brings the outdoors in, in the most subtle way. 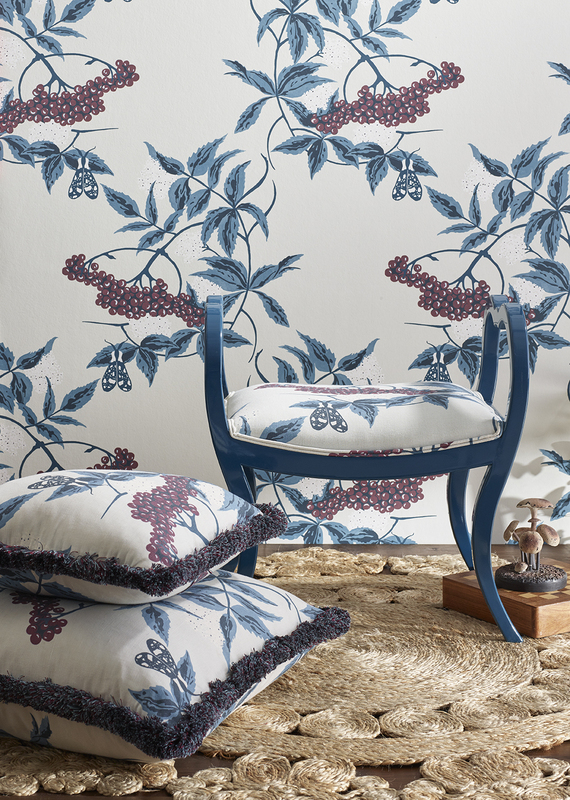 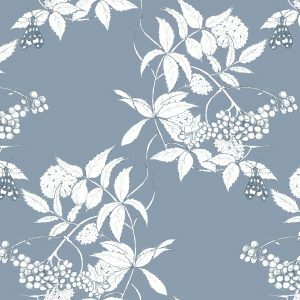 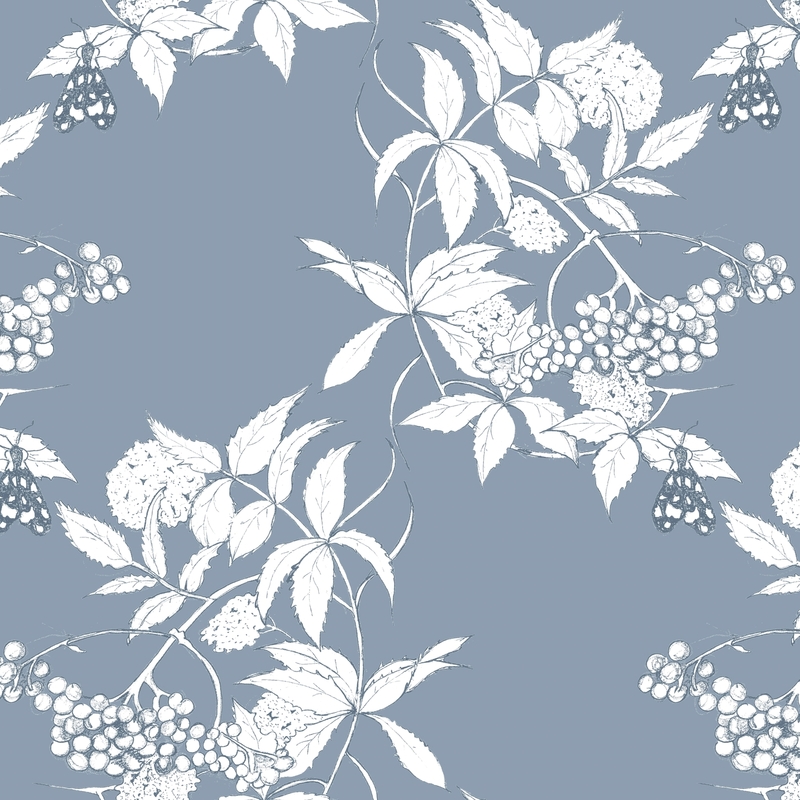 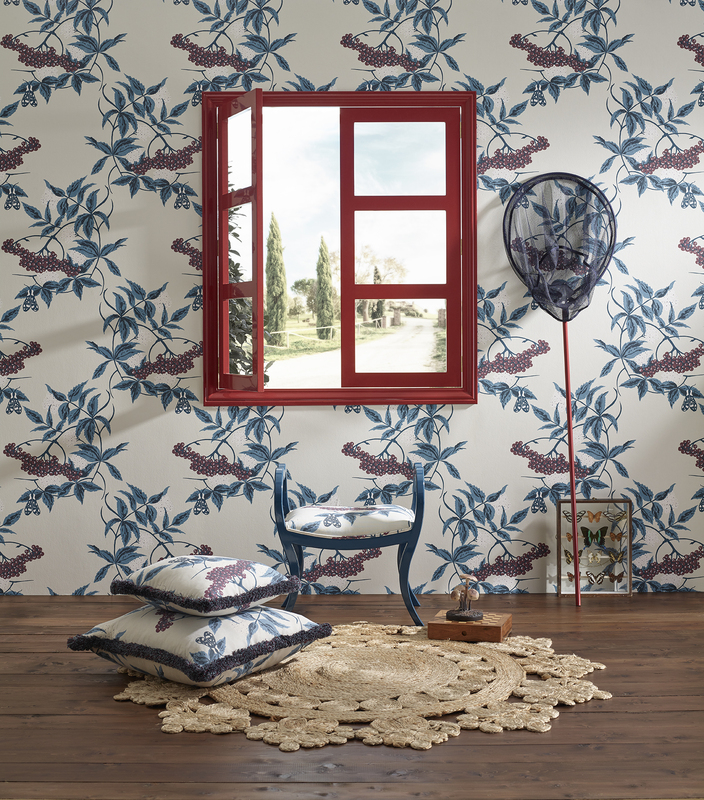 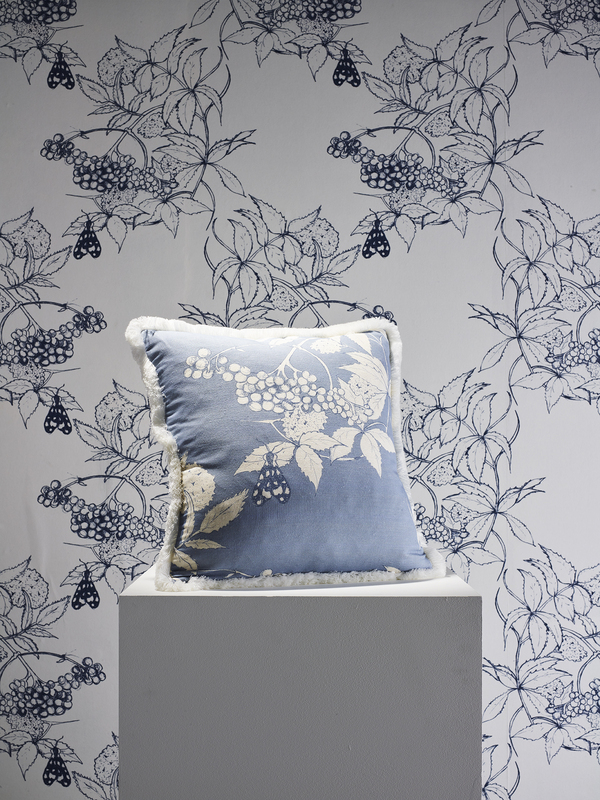 Sambuco is available in Wallpaper & Fabric.